A joint Egyptian and Italian project has got underway in Cairo to train thousands of police offers and border police from 22 African countries on how to combat human trafficking and illegal immigration. The two-year Itepa project foresees the creation of an international training center at the Egyptian police academy providing instruction in migration-related topics. The center will run three four-week courses per year to a total of six courses for 360 police officers and border officials. 'Training' The courses are based on the trickle-down theory, meaning that participants will be equipped to train colleagues in their countries of origin. 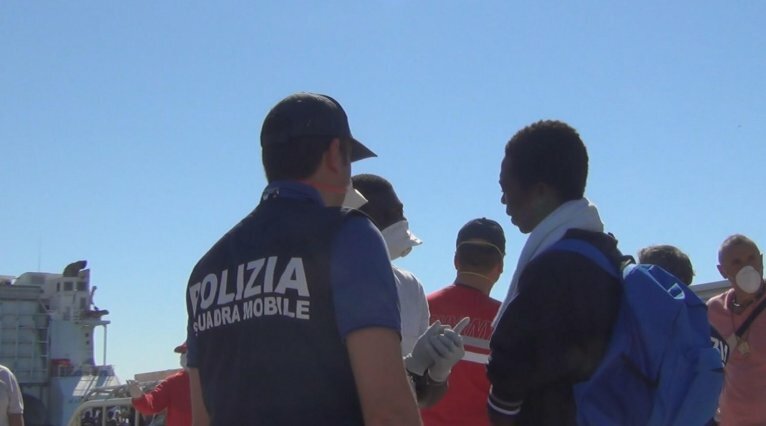 The pilot initiative, based on a technical protocol signed last September, began on March 20 with a two-day workshop attended by Italian police chief Franco Gabrielli. The training aims to strengthen skills in managing migration flows, investigating migrant trafficking and related crimes, border controls and documentary fraud. Particular attention will be given to protecting human rights and international protection procedures. The training will be led by Italian and Egyptian police experts and trainers nominated by various international and European organisations (Interpol, Unodoc, UNHCR, IOM, European Commission, Frontex, Europol). The courses aim to bring together various professional cultures and operational practices also by giving participants the opportunity to develop contacts that might be a possible driver of international cooperation. In addition to Egypt, partners in the project are all the countries in northern and central Africa on the migration routes: Algeria, Burkina Faso, Chad, Ivory Coast, Eritrea, Ethiopia, Gambia, Djibouti, Ghana, Guinea, Kenya, Libya, Mali, Morocco, Niger, Nigeria, Senegal, Somalia, Sudan, South Sudan and Tunisia. The outcome of the project will be assessed during a conference to be organised in Italy in December 2019. In the picture Italian police oversees the arrival of a ship full of migrants in Pozzallo, Sicily.